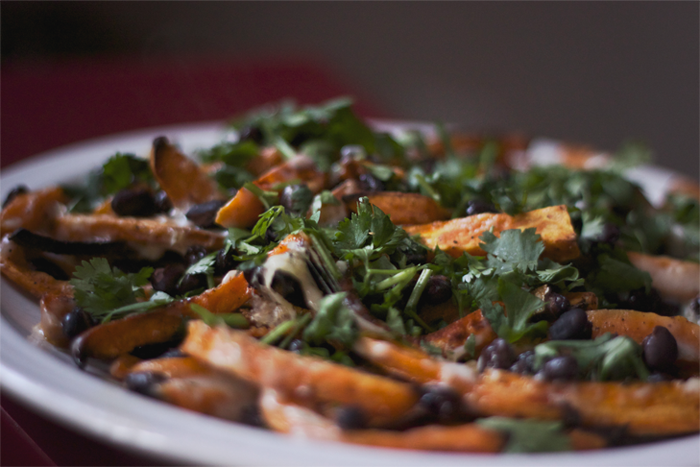 It's rude, really, to call anything that doesn't involve chips nachos. I know this. But the love I have for sweet potatoes makes this feel okay. Use a smoky cheddar cheese with these bad boys and you'll agree with me. 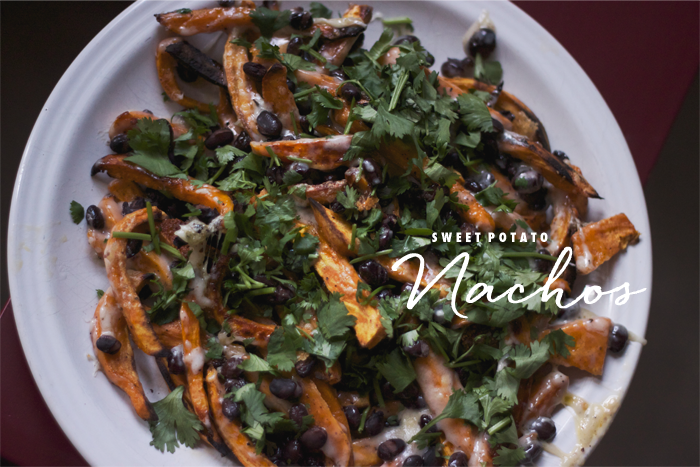 The sweet potato fries shrink up a good bit, so grab an extra potato or two. Always remember: more is more. Preheat oven to 425. 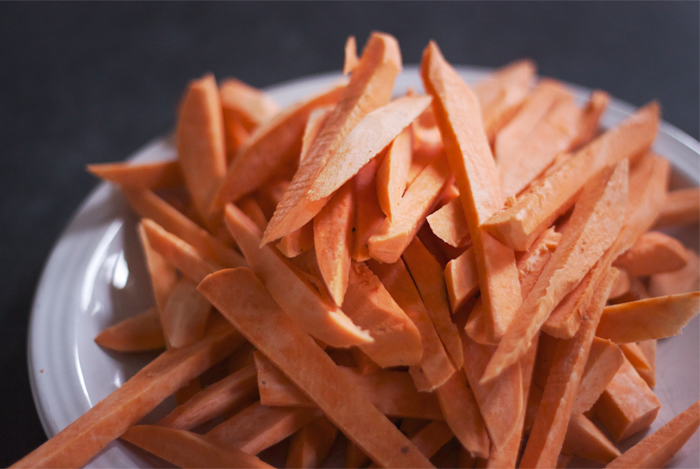 Peel and cut sweet potatoes into fries, about 1/2 inch thick. 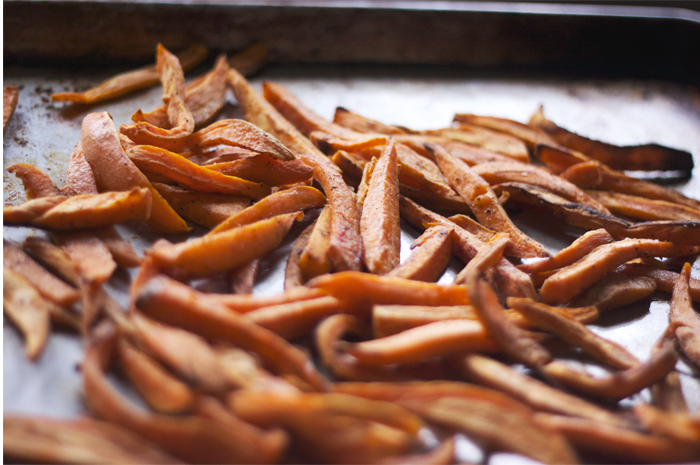 Lay sweet potatoes in on a cookie sheet and drizzle with EVOO and season with a good bit of salt + pep. Toss them, and then lay them out in a single layer. Roast for 25 minutes. Broil, on the middle rack in the oven, for 4-5 minutes. 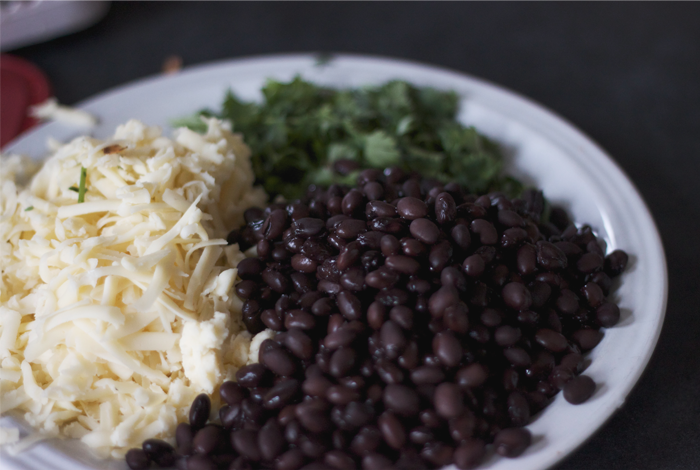 Pull them out of the oven and top with beans and cheese, and stick them back in to broil for another 3-5 minutes, keeping an eye on them. Sprinkle with cilantro and they're ready to go. These are amazing for many reasons but mostly cause you can switch up your toppings to suit your fancy. I'm drooling on my keyboard thinking about topping them with browned sausage and jalapeños. Also, do yourself a favor and serve these with guacamole. Ole! what?!? yum! I'm making these. these look so tasty! i'm trying these soon for sure! danielle! these look amazing. i love following your ig but it's been awhile since i've checked into your blog (or anyone's blog, for that matter). i hope everything's going well with your new home--it sounds/looks like it is!! !